With a combined staff experience of well over 50 years, East End Customs, driven by our passion to provide unparalled levels of service and customer satisfaction, has grown to become Durban’s preferred auto sound and security fitment centre. The key to the company’s success has been our ability to provide our client base, both private and corporate alike, with unbiased advice, coupled with unrivalled workmanship and providing after- sales service second to none. 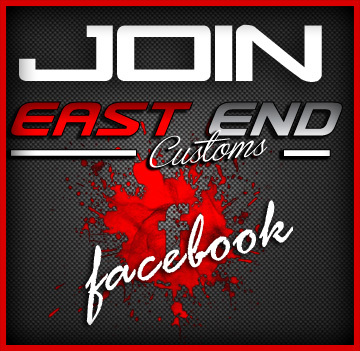 East End Customs is owned and managed by Rowen Naidoo, who has been actively involved in the industry since 1990, together with his dedicated team of first rate technicians and knowledgable staff, provide the kind of sevice that is best described as being industry leading. We are proud suppliers of some ,(if not all) of the leading brands available on local soil. We strive to deliver products and services that offer excellent value for money. East End Customs caters to both the general public and trade, and pride ourselves on being an approved fitment centre to the majority of franchised motor dealerships in an area spanning from the lower South Coast to Richards Bay going West towards Hillcrest. Not only do we service the BEST motor dealers in the immediate vicinity of the CBD, we have an enormous footprint going north, servicing a vast majority of the motor dealers in Gateway and surrounding areas as well. We are possibly the only PRIVATELY owned Durban based company that does aftermarket fitments to new cars that are distributed nationally and cross border. We also are a first rate service provider to a number of large corporate companies, as well as an approved replacement centre for some of the leading insurance companies in South Africa. We are located on the EAST END of Durban. Conveniently situated on the corner of Stanger and Anton Lembede (Smith) Streets, with drive-in access on both sides. We drop off and fetch cars in Durban and surrounding areas, and are able to provide a mobile service (conditions apply) for selected installations. Whether you’re looking for a custom sound installation, mild sound upgrade, additional security or retro-fit applications, look no further than EAST END CUSTOMS. We are all you need !! !